Agencies will handle PR and media buying as part of integrated campaign for the International Cricket Council Cricket World Cup 2019. LONDON — The ICC has appointed an integrated team of agencies for its marketing and PR campaign around the 2019 Cricket World Cup, including Ogilvy and Threepipe. Appointed after competitive pitches, Ogilvy London will be handling PR for the campaign, while Threepipe – which recently acquired sports marketing agency Earnie, whose clients include the England & Wales Cricket Board – has been hired to carry out media buying and activation. The other partners include Matta (creative), Ear to the Ground and Red Sky at Night (Activation) and Goat (influencer marketing). The “Are you in?” campaign launches this week with the opening of the public ballot for tickets to the World Cup, which runs from 30 May to 14 July 2019 in 10 cities across England and Wales. 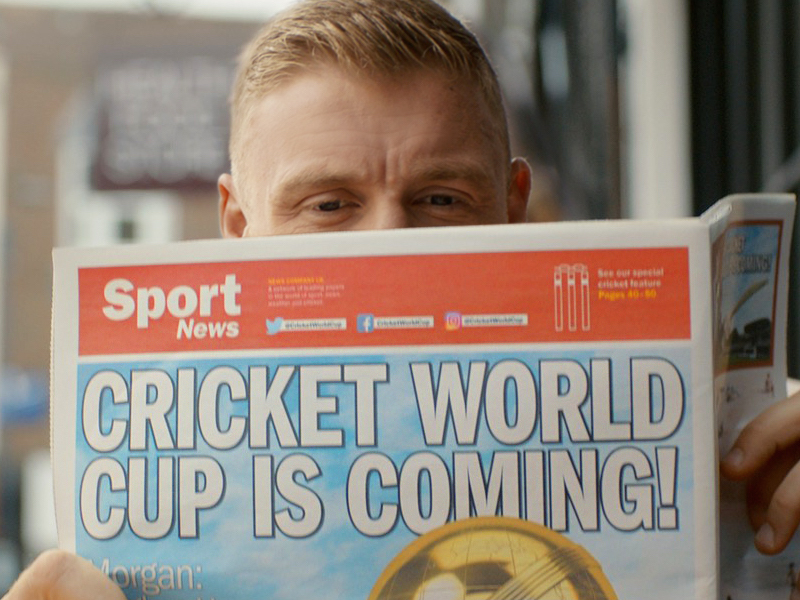 The launch film stars former English international cricketer Freddie Flintoff, inviting the public to join “sport's greatest carnival” and celebrating the 10 nations competing in the tournament. Ogilvy has been tasked with driving engagement and awareness of the tournament with a new, non-cricket audience. The PR campaign launches with a content series featuring comedian Chabuddy G, who will demystify the one-day game along with cricket personalities. Ogilvy will also activate around milestones in the lead-up to the start of the Cricket World Cup.